This excellent reference source brings together hard-to-find information on the eighty-three constituent units of the Russian Federation. The introduction examines the Russian Federation as a whole, focusing on the evolution of the relationship between the central state and the regions, followed by a chronology, demographic and economic statistics, and a review of the Federal Government. 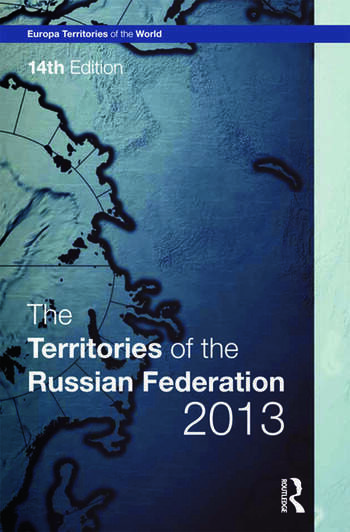 The second section comprises territorial surveys, with a chapter on each of Russia’s federal subjects, each of which includes a current map. The third section comprises a select bibliography of books. The fourth section features a series of indexes, listing the territories alphabetically, by Federal Okrug and Economic Area. Users will also find a gazetteer of selected alternative and historic names, and a list of the territories abolished, created or reconstituted in the post-Soviet period.